Why Viking Catastrophe Services? 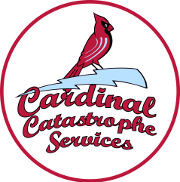 - Viking Catastrophe Services, Inc.
Why should I use Viking Catastrophe Services, Inc.? General contractors, by their nature, have a very broad focus. They do a little bit of everything, from landscaping to kitchen remodels, because their business is built upon selling additional services other than what you might have requested originally. You call with roof damage - they want to sell you siding and a new deck. Viking Catastrophe Services are not general contractors. Viking Catastrophe Services are specialists - we ONLY do storm damage roofing insurance claims. Ask a generalist what A.C.V. means, or have them describe how non-recoverable depreciation may be applied to your claim. We have the experience and knowledge to get your property restored, because all we do is insurance restoration projects. We focus solely on storm damage and roofing insurance claims, and we are one of few companies that do so. Beware of impostors; "storm chasers" that set up offices in town following a storm and disappear when they have made their money or new companies who are 'insurance claim roofers' temporarily due to slow work in their normal field. Viking Catastrophe is the only true storm damage and roofing insurance claim company in the area. Our success is founded in two principles: How we treat our business, and how we treat our clients. Our Project Managers have completed hundreds of insurance claims, and nearly all of our clients have received a full roof replacement - and their only out-of-pocket expense was their deductible. A generalist might be able to get your roof replaced, but he'll miss the details as he is not trained in all aspects of roofing - it is just a side trade for him. Viking Catastrophe Services specializes in storm damage roof restoration. Our principal area of expertise is meeting with insurance adjusters and ascertaining the scope of the storm damage. Viking Catastrophe Services, Inc. has the proper licensing and insurance to ensure that your roof is restored right - the first time. Our Minnesota General Contractor License is BC675271​. Don't be fooled by out-of-state "storm chasers" - many of them are fly-by-night enterprises, and posses no licensing or insurance. When their poor craftsmanship fails, who will you call? Xactimate is the risk industry standard price estimating software. Viking Catastrophe Services uses Xactimate software to eliminate negotiation and disputes. Since we understand before the adjustment what the price will be, line item by line item, we are only agreeing on 'scope of damage' - the price has already been agreed upon. This cuts out the "bidding" process. Our Project Managers are all bound by a Client Respect Agreement. This requires us to be truthful and honest in our work, from the property assessment to the last shingle and cleanup. We start by telling the truth during your property assessment. A generalist will play the numbers, encouraging everyone to file a claim, hoping that at least a few will be approved. At Viking Catastrophe Services, we are honest in our assessment of damage. We do not counsel our clients to file insurance claims on marginal storm damage. We do not aggressively up-sell. Our staff is trained to identify storm damage, not sell you a shingle upgrade which should be part of your standard roofing system. Our 25-point Quality Control Punch List ensures that at the end of our work, all expectations are met and often exceeded. The Better Business Bureau (BBB), founded in 1912, is a corporation consisting of several private business franchises of local BBB organizations based in the United States and Canada, which work together through the Council of Better Business Bureaus (CBBB). The BBB goal is to foster a fair and effective marketplace, so that buyers and sellers can trust each other ("Start with Trust). The National Roofing Contractors Association is the construction industry's most respected trade association and the voice and leading authority in the roofing industry for information, education, technology and advocacy. The NRCA directs residential roofing code nation wide and most metros follow their guidelines when performing roofing code enforcement inspections. Not all municipalities have code enforcement for residential roofing in our area, so roofers, contractors and "storm chasers" do FAR less than a quality job on roofing systems they build because nobody is checking their work. 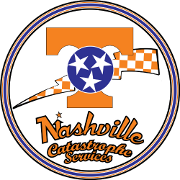 Viking Catastrophe Services follows all manufacturer suggested procedures and N.R.C.A. Guidelines for all projects. Someday, we'd like to think that there will be more residential roofing code inspections and enforcement. When that day comes, Viking Catastrophe Services will already be building their roofing systems the right way.